The late 1960s in an interesting but not too much known piece of the world were the time of great changes and new and exciting things that will come. That is when reggae music was born and when the whole reggae world started to build up and spread all around the world. 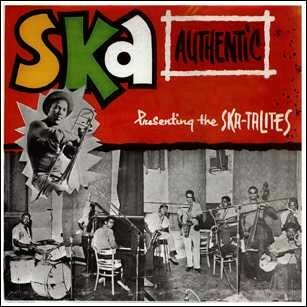 Reggae music developed from ska and rocksteady, and as you can see, or better - hear, it kept some elements of them to this day. But it was also influenced by jazz, soul and calypso music. Larry and Alvin’s song Nanny Goat and the Beltones, No More Heartaches is known for the status of the first reggae record, because it had a beat distinctive from rocksteady and it was more smooth, soulful, like the American R&B, but still something new and different. The greatest advantage of reggae music was its almost limitless flexibility, because it was able to change from the early, jerky sound that you can hear in Lee Perry’s song People Funny Boy, to the uptown sounds, that can be heard in Third World’s song Now That We’ve Found Love, and still stay recognizable as reggae. It really made an enormous leap through the years and changed quite a few styles, but it stayed the reggae we all love listening to. Reggae became popular in the rest of the world in 1973, when the film The Harder They Come starring Jimmy Cliff became popular. It did not only introduce reggae to the rest of the world, but also Jamaican culture and music in general. Soon after that, reggae became popular in the US and UK and even started influencing other forms of music like rock, pop and even punk rock. The February 2008 is important because it was the first time that the Reggae month was celebrated, today you can, in that time of the year, enjoy a wide range of venues and events that are all about reggae and its most important icon Bob Marley.